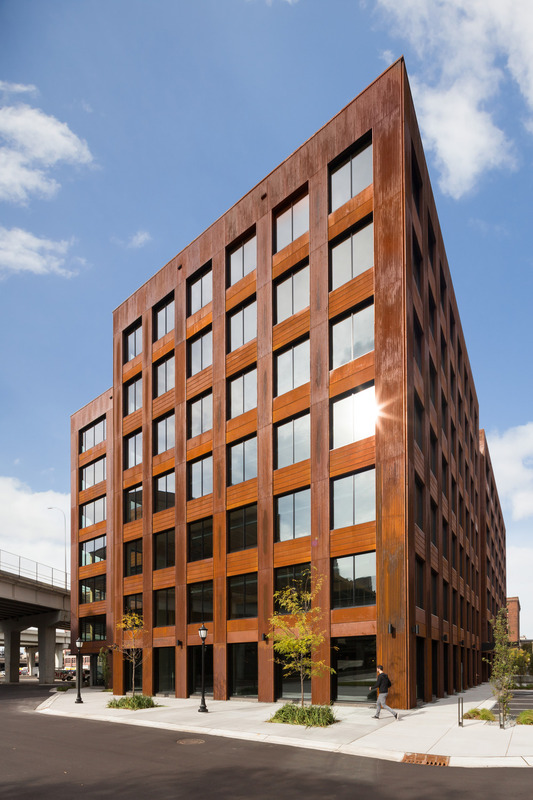 The seven-story, 220,000-square-foot T3 office building in Minneapolis’s North Loop district will become the tallest modern wood building in the U.S. when it opens tomorrow. 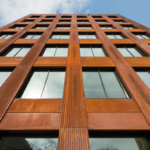 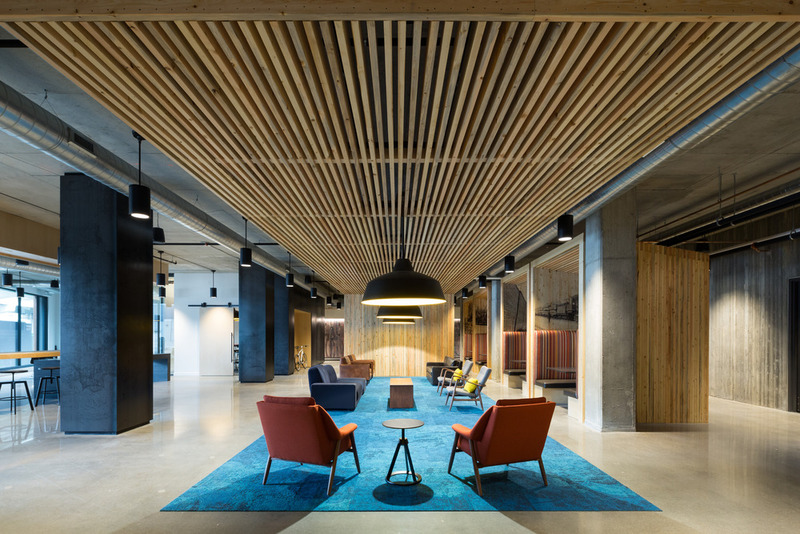 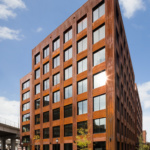 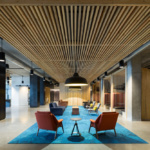 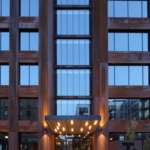 Designed by Michael Green Architecture and the DLR Group, the T3—which stands for Timber, Technology, Transit—features nail-laminated timber (NLT) clad in weathering steel. 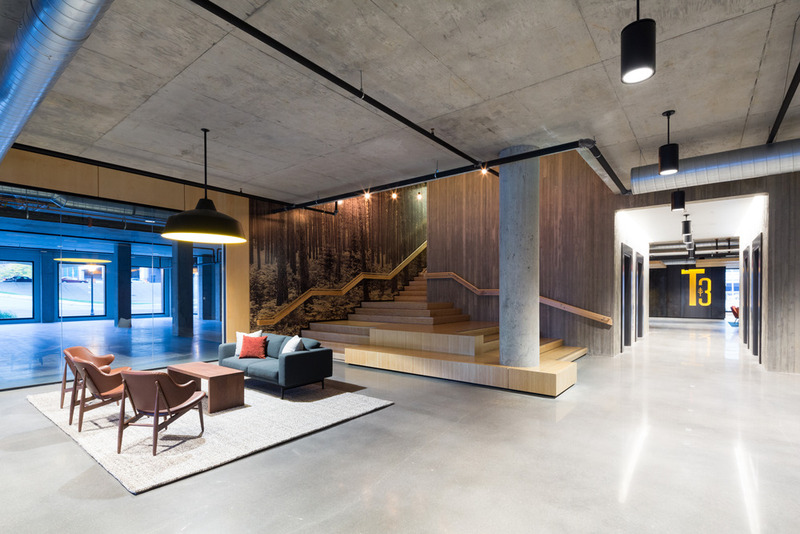 While the building resembles the nearby historic warehouses in the district, its efficient structural system is about one-fifth the weight of a similarly sized concrete building, according to StructureCraft, which worked on the project. 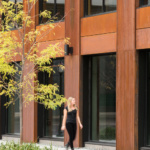 Leaving the interiors bare also eliminated costly coverings. 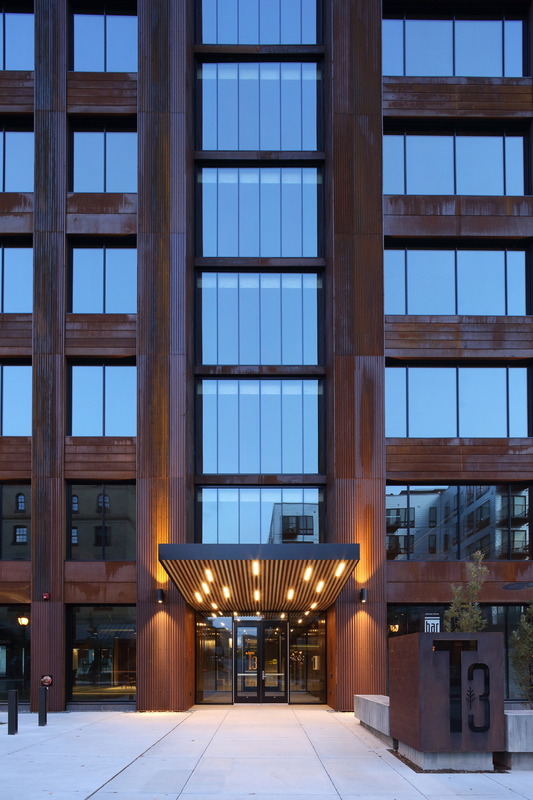 StructureCraft fabricated T3’s NLT panels in nearby Winnipeg, Manitoba, and was able to build 180,000 square feet of timber framing in less than 10 weeks. 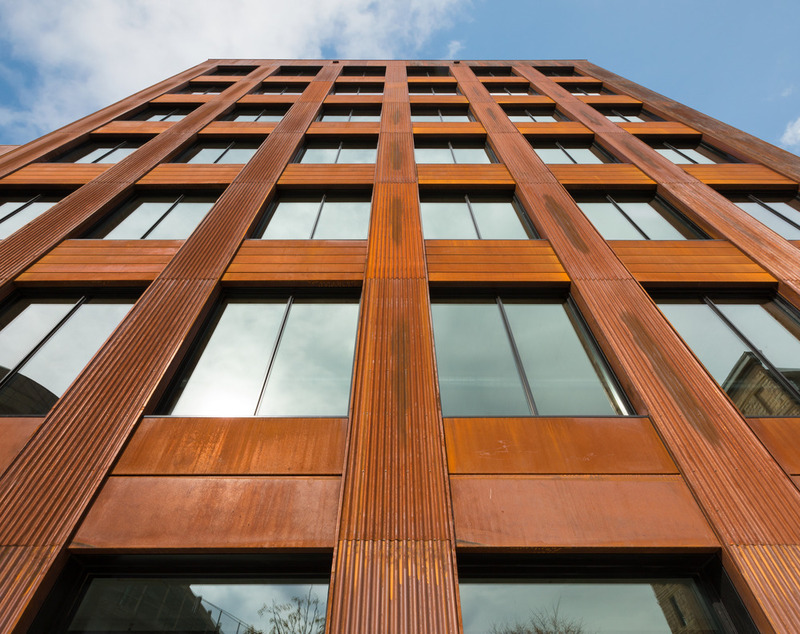 Typically, the estimated time of construction in a timber building is an average of nine days per floor. 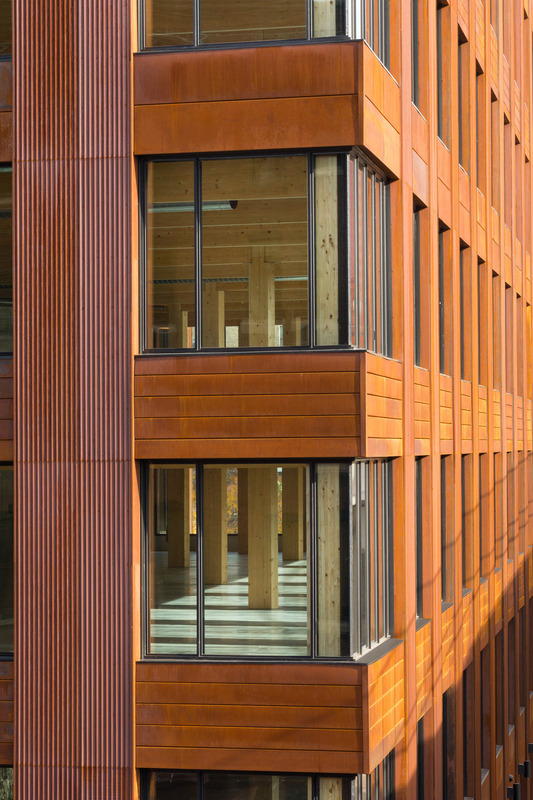 The NLT panels were combined with a spruce glulam post-and-beam frame and a concrete slab. 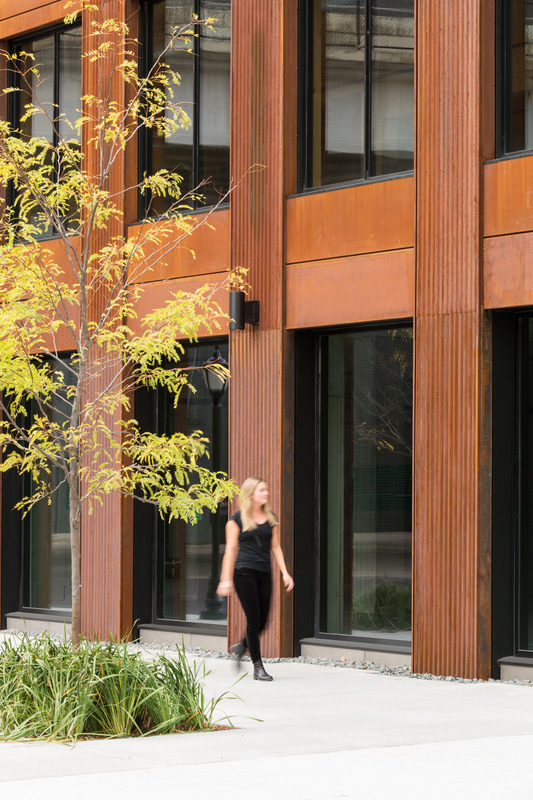 Most of the wood used came from the Pacific Northwest region, sustainably harvested after being killed by the mountain pine beetle, and all of the wood was certified under the Sustainable Forestry Initiative Guidelines. 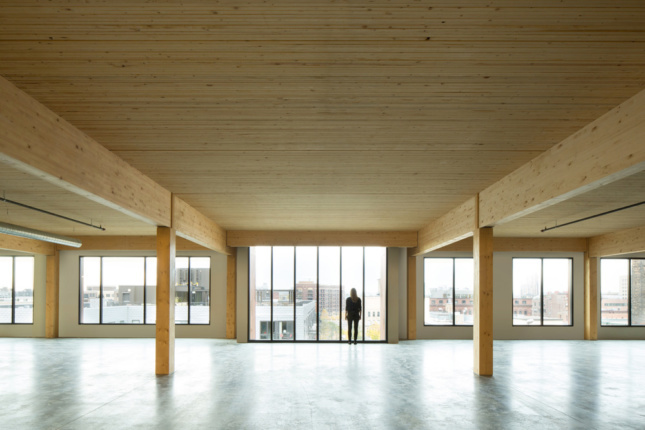 The result is a simple massing with an airy brightness, thanks to the exposed wood. 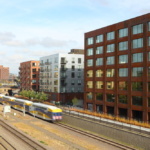 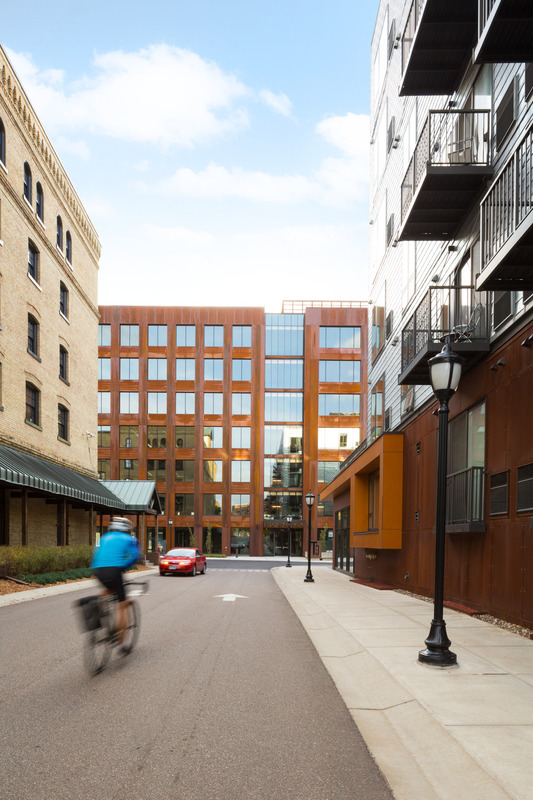 “This will have the ambiance of the old warehouses with timber beams that everyone wants, but solves all the problems of energy efficiency and light,” real estate firm Hines director Bob Pfefferle told the Minneapolis Star Tribune. 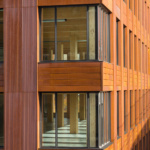 Timber frame construction has been praised as an environmentally responsible choice. 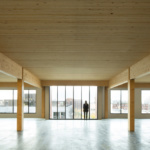 In addition to being made from sustainable lumber, which is less energy-intensive to extract, the building will sequester about 3,200 tons of carbon. 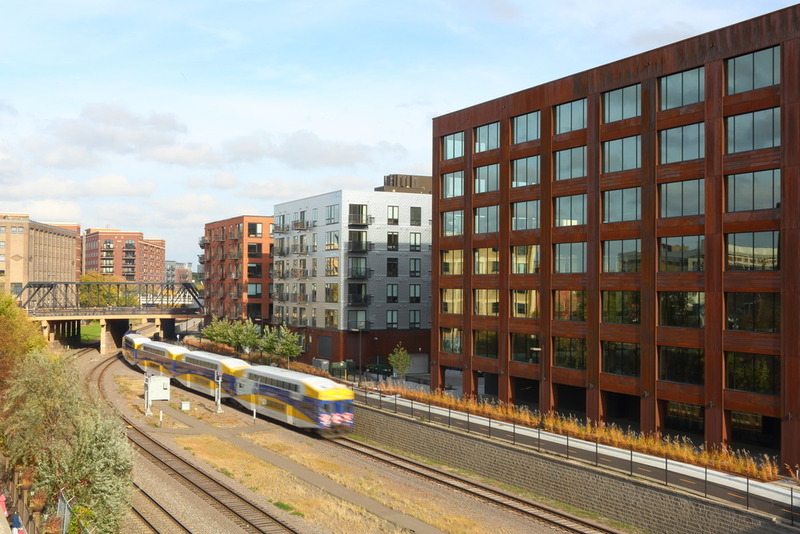 However, mass timber construction has been slow to take off—T3, for example, was supposed to break ground back in November 2015. 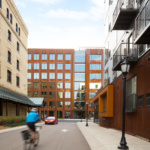 Thankfully, a slew of timber-framed buildings is set to open in the next year—perhaps ushering in a new era of downtown towers.